Want To Terminate Your Lease Early? Due to the shortage of used vehicle supply, many automobiles are worth close to their current payoff. It only takes a few minutes to find out if your vehicle is available for this special Lease Program offer. Use the form on this page to request a free consultation. To proceed please provide us with the information requested on the form below. We will research the information and get back to you as quickly as possible. Whether you have six months left on your lease or two years, when your lease is nearing maturity you can count on Volkswagen of Gainesville to give you all the information you need to decide what to do next. Three payments waived on ALL VW models. Customer must go into any new VW model and finance with VCI. Program runs through 09/30/2018. *Volkswagen of Gainesville service department staff are ready to assist with any of your needs prior to final vehicle inspection. While most leases allow for reasonable wear-and-tear, our lease maturity specialist can ease your mind with money-saving recommendations for minimizing the financial impact of any nicks, dents, or scrapes before your final inspection appointment. Don’t miss your opportunity to terminate your lease early. 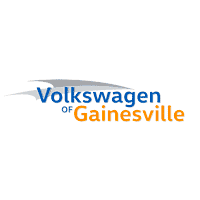 Visit Volkswagen of Gainesville today.